We offer full range of IP services in Estonia and provide all necessary legal assistance required for protection of IPRs. We advise on trademark registration in Estonia which includes conducting sophisticated trademark search services, prosecuting and maintenaning trademarks in Estonia. We advise on assignment and license agreements, conduct market monitoring services and, if necessary, represent clients at the Courts, the Estonian Customs Body and other relevant state authorities. 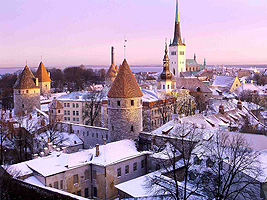 We provide expert solutions based on our extensive knowledge of the local market and existing IP practice in Estonia. We research and analyse ongoing developments in the local market and constantly monitor the local market in order to timely alarm our clients about any developments that may affect their IPRs in this country. Registering your trademark is not the finale stage of protecting your brand. You need to be aware about the proper way of using your mark as well as carry out market monitoring in order to prevent your mark to become vulnerable for cancellation procedures as well as preventing others from unlawful use of your mark. Our clients enjoy Efendi’s sophisticated IP services in Estonia and can always rely on our prompt and efficient support whenever it is needed. -	Advising the leading Russian beverage & alcohol producer on the best strategy of overcoming grounds of provisional refusal issued by the Estonian Patent Office against registration of the client’s trademark in Estonia; collecting evidence and filing a response against provisional refusal to the Estonian Patent Office; advising the client on opportunities and potential risks of bringing a court action against the infringer, drafting and submitting a court action to the Estonian Court which led to the positive decision in our client’s favor. -	Advising on trademark protection issues related to post-registration stage; assisting clients on registering trademarks at the national Customs Registry of Trademarks; negotiating and drafting the amicable agreements for the termination and compensation for intellectual property infringement.